sin – Page 2 – I AM for You! I suffer from lack of confidence sometimes, especially in new situations. Satan knows this and regularly attacks me there. Satan’s fiery darts, those destructive thoughts and feelings, are hitting me most recently in my new job. I am praying that Jesus will take care of my thought life and me personally and my company and their customers. I am praying that Jesus will expose the lies of satan (that I believe) to the light of God’s truth. The truth will disarm the lies and make them powerless against me. How does this work? When satan tells me a lie it is usually aimed at a shame and insecurity I feel. He threatens to expose my weakness and I fear telling anyone because I feel ashamed. And the lie grows hidden in the dark. But if I have the courage and insight to realize what the lie is and expose it, or I talk to someone who helps me to do this, I can compare satan’s lie to the truth found in the Bible. Then I realize that Jesus loves me just as I am, that He has already paid for whatever I’m ashamed of, that I am complete in Him, and that satan cannot harm me. Writing about this is easier than dealing with it and so though I know what’s going on I still have to fight the battle. Praying and reading the Bible, talking with Christian friends who understand, and even writing a blog post about it, helps expose and destroy satan’s work in my life. Thanks for reading this and feel free to comment about anything you would like. The righteous cry out, and the Lord hears, And delivers them out of all their troubles.The Lord is near to those who have a broken heart, And saves such as have a contrite [to repent, to turn around] spirit. Jesus said, “Blessed are the poor in spirit” (Matthew 5:3-4) and “those who mourn” over their sinful condition. “For theirs is the kingdom of heaven” and “they shall be comforted”. Not the haughty, not the proud. Not those who claim to have it altogether, and say they have no sin. Jesus said God accepts those who recognize who they are and cry out to God to clothe them with His righteousness, with Jesus. Whatever situation I find myself in, the preceding verse promises me victory. The problem is that at first I didn’t want the victory… I wanted to sin. Then when I tried to resist sin, the temptation was too great, or so I thought, and I gave in. It wasn’t until I thought through the consequences of sin that I decided I wanted victory over it. And I truly had to want victory over sin, more than I wanted the pleasure of sin for a season. 7Therefore submit to God. Resist the devil and he will flee from you. 8Draw near to God and He will draw near to you. Cleanse your hands, you sinners; and purify your hearts, you double-minded. 9Lament and mourn and weep! Let your laughter be turned to mourning and your joy to gloom. 10Humble yourselves in the sight of the Lord, and He will lift you up. This is for most sin. One of the surprises I found from reading Dr. Chuck Swindoll, was that concerning sexual sin, God did not want me to stand and fight temptation. No, He wanted me to RUN, to flee, to get out of Dodge. This is what Joseph did when his master’s wife tried to seduce him. He ran. 11But it happened about this time, when Joseph went into the house to do his work, and none of the men of the house was inside, 12that she [his master’s wife] caught him by his garment, saying, “Lie with me.” But he left his garment in her hand, and fled and ran outside. Joseph had no choice, but for us, many times the way of escape doesn’t have to be that dramatic or at the last minute. When traveling you can ask when you check in to the hotel to have the objectionable TV channels turned off. Also, if you can, don’t travel alone but with a trusted friend. Do a phone check in with your spouse or accountability partner at night. Plan ahead and do whatever it takes to stop sin before it stops you. Jesus said that if your hand causes you to sin, cut it off! (Matthew 5:30). Of course this was exaggeration, Jesus doesn’t want you to be without a hand, but what Jesus meant was to deal decisively with sin. God loves people. God hates sin, not people. God hates sin because it hurts Him and it hurts people. The penalty was death for King David when he committed adultery. But God pardoned him. When a woman caught in adultery was brought before Jesus to have her stoned Jesus said, “Let the one who is without sin cast the first stone”. John the Apostle said that if a man claims to have no sin he is a liar and the truth is not in him. 8If we say that we have no sin, we deceive ourselves, and the truth is not in us. 9If we confess our sins, He is faithful and just to forgive us our sins and to cleanse us from all unrighteousness. 10If we say that we have not sinned, we make Him a liar, and His word is not in us. 13Has then what is good become death to me? Certainly not! But sin, that it might appear sin, was producing death in me through what is good, so that sin through the commandment might become exceedingly sinful. 14For we know that the law is spiritual, but I am carnal, sold under sin. 15For what I am doing, I do not understand. For what I will to do, that I do not practice; but what I hate, that I do. 16If, then, I do what I will not to do, I agree with the law that it is good. 17But now, it is no longer I who do it, but sin that dwells in me. 18For I know that in me (that is, in my flesh) nothing good dwells; for to will is present with me, but how to perform what is good I do not find. 19For the good that I will to do, I do not do; but the evil I will not to do, that I practice. 20Now if I do what I will not to do, it is no longer I who do it, but sin that dwells in me. 21I find then a law, that evil is present with me, the one who wills to do good. 22For I delight in the law of God according to the inward man. 23But I see another law in my members, warring against the law of my mind, and bringing me into captivity to the law of sin which is in my members. 24O wretched man that I am! Who will deliver me from this body of death? 25I thank God—through Jesus Christ our Lord! So then, with the mind I myself serve the law of God, but with the flesh the law of sin. 1There is therefore now no condemnation to those who are in Christ Jesus,£ who do not walk according to the flesh, but according to the Spirit. 2For the law of the Spirit of life in Christ Jesus has made me free from the law of sin and death. 3For what the law could not do in that it was weak through the flesh, God did by sending His own Son in the likeness of sinful flesh, on account of sin: He condemned sin in the flesh, 4that the righteous requirement of the law might be fulfilled in us who do not walk according to the flesh but according to the Spirit. 5For those who live according to the flesh set their minds on the things of the flesh, but those who live according to the Spirit, the things of the Spirit. 6For to be carnally minded is death, but to be spiritually minded is life and peace. 7Because the carnal mind is enmity against God; for it is not subject to the law of God, nor indeed can be. 8So then, those who are in the flesh cannot please God. 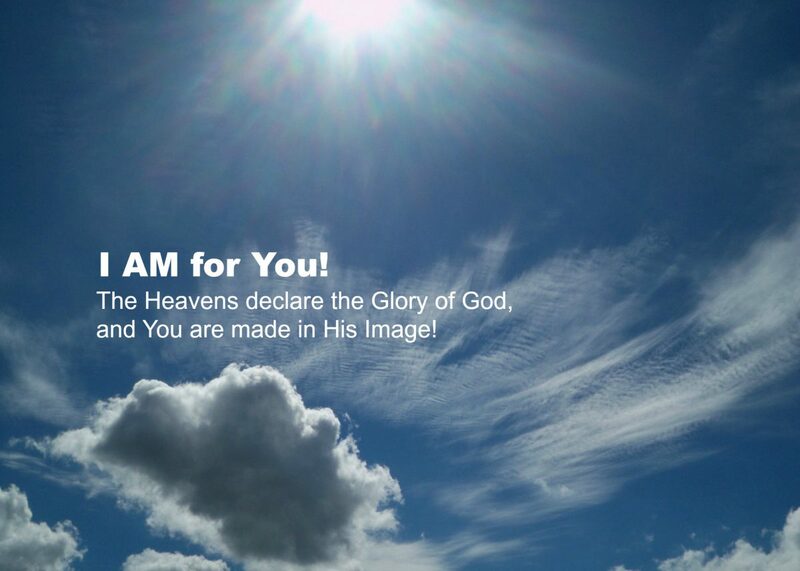 9But you are not in the flesh but in the Spirit, if indeed the Spirit of God dwells in you. Now if anyone does not have the Spirit of Christ, he is not His. 10And if Christ is in you, the body is dead because of sin, but the Spirit is life because of righteousness. 11But if the Spirit of Him who raised Jesus from the dead dwells in you, He who raised Christ from the dead will also give life to your mortal bodies through His Spirit who dwells in you. Jesus is the friend of sinners, not so we can continue in sin, but so that Jesus can forgive our sin, cleanse us of sin and give us His righteousness and His Life. Call on Him today, He is waiting to forgive you and give you new life! Author james bruce mcnaughtonPosted on September 18, 2013 Categories death, evil, forgiveness, God, good, Jesus, sinLeave a comment on Jesus loves us sinners! Why doesn’t God want me to have fun? Before I met Jesus I sometimes thought that God, Jesus, the Holy Spirit, and Christians were BORING!!! For example, if a man and woman who were not married wanted to be intimate, why would God want to stop them? Love is good right? They’re not hurting anyone so what’s the problem? Why doesn’t God want people to have fun? The Bible says sin definitely is fun. God says in the Bible that you can “…enjoy the pleasures of sin for a short time” (Hebrews 11:25b NIV84). The fun doesn’t last, however. And the fun ultimately results in separation from God and his love forever. Why? Sin always hurts God or people or both. And it always hurts ourselves. God jealously loves us and He wants nothing to hurt us. That’s why He gave us the Bible. In it are His commands and principles for us to live by so that we can know how not to hurt God, others, and ourselves. And how to truly love and do good. But knowing that is not enough. We need a heart transplant. We need our spirits made alive. Jesus says He will give us a heart of flesh for a heart of stone. Jesus said he will make our dead spirits alive like His. He said He is the Way, the Truth, and the Life. For Jesus to change us we need to believe that He is and that He rewards those who earnestly seek Him. Then we need to agree with Him (confess) that we have hurt Him, others and ourselves and that with His help we will try to never sin again (repentance). Then we need to trust Him, that His death on the cross paid the full debt we owed God (faith). Then ask Jesus to fill you with His Holy Spirit. We then need to tell others about the wonderful thing God has done for us. And repent if we sin again. Now that I have a relationship with Jesus my life has never been more of a fun adventure. The more I obey Him the more fulfilling it is. I found out that satan’s “fun” was only a worthless imitation of the joy that Jesus freely gives. Life with Jesus also has been more difficult in other ways. Satan attacks my mind more now. But now I have Jesus living inside me through the power of the Holy Spirit and He guides me and encourages me, He protects me and provides for me. And, He helps me write about Him in this blog. I hope you will choose Jesus over sin. You will never regret it. Author james bruce mcnaughtonPosted on July 3, 2013 Categories fun, life, sinLeave a comment on Why doesn’t God want me to have fun?